Last year saw the worldwide debut of one very unique clownfish from Sustainable Aquatics. 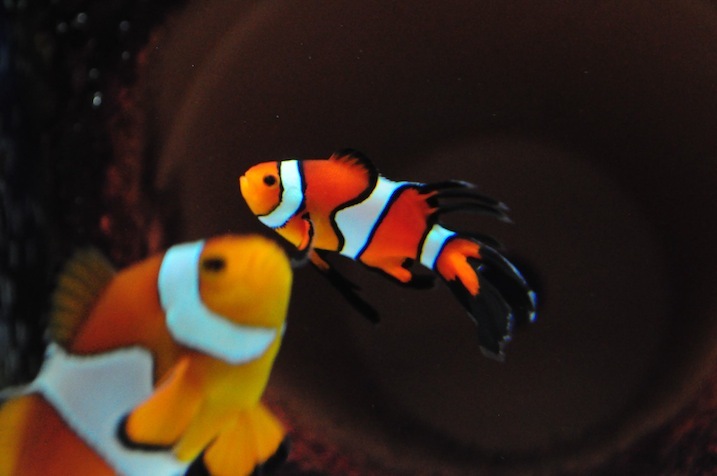 Dubbed the Longfin Clownfish, this particular individual had the most elaborate finnage we’ve ever seen from an otherwise normal looking Amphiprion percula, and according to a very recent announcement, that trait has been successfully passed down to a whole new generation of longfin clowns. Admittedly, these are some terrible photographs of the fish, which were shared on the Sustainable Aquatics Facebook page, but the fish do show significant signs of the same elaborate finnage that were just so intriguing in their parent. 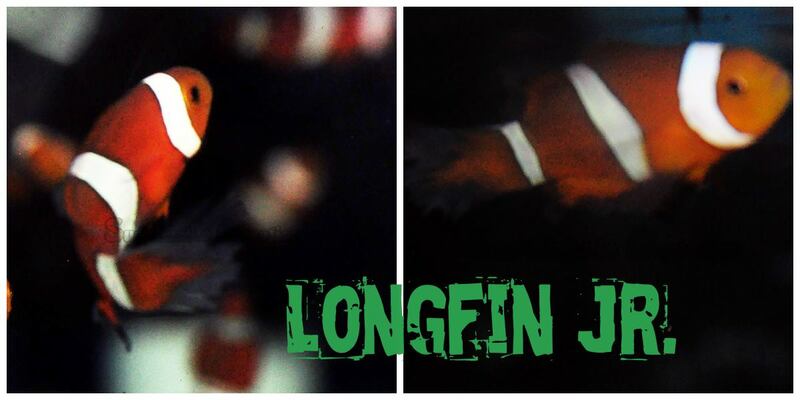 We hope to see a few more images of the “Longfin Jr.” clownfish in the very near future, and while the fins may not be as elaborate, it’s a step in the right direction in getting a whole new type of designer clownfish. The original longfin clownfish is pictured immediately below. Personally, I think the mutation makes a usually beautiful fish, ugly as sin. Of course, I felt the same way about the “platinum” clowns too. Other designer clowns aren’t bad ( in fact, I have one) but ocellaris clowns are one of the most beautiful fish without the crazy designer stuff!